An authentically styled Jaguar® now joins the Vintage Modified family, with present-day touches including sharp, clear Duncan Designed™ pickups and a modern Fingerboard radius. 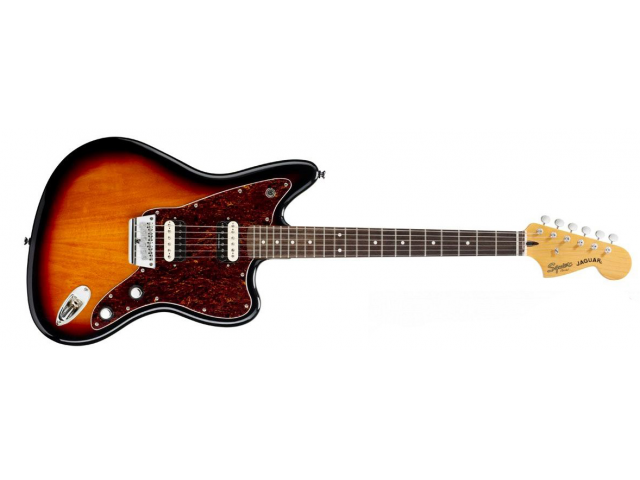 Squier’s new Vintage Modified Jaguar rocks the model’s distinctive hallmarks, too - such as the 24” scale, dual-circuit switching and controls, floating-vibrato bridge. Three-colour Sunburst finish.